In 1972, Bruce Mazlish wrote a psychohistorical inquiry into the life of Richard Nixon, entitled, IN SEARCH OF NIXON. Mazlish analyzed Nixon and concluded that “he project[ed] unacceptable impulses onto others. He identified his personal interest with the national interest. He exalt[ed] strength and fears of passivity.” (143) These conclusions were based on a detailed exploration of Nixon’s upbringing, relationship with his parents, and his actions as an adult. The book was written before the emergence of Watergate, and was prescient as Mazlish concluded that Nixon’s self-destructive nature would come to the fore, but he was not sure how that would manifest itself. Historians have concluded that Richard Nixon was probably one of the most complex political figures in American history and his career has produced a myriad of books, some praiseworthy, particularly dealing with his opening with China, and detente with the Soviet Union in 1972. However, the majority have been mostly negative in the light of events surrounding his election to the House of Representatives and the Senate, his pursuit of Alger Hiss, and the actions that brought down his presidency. Following Nixon’s resignation from the presidency he devoted his time to resurrect his personal legacy presenting himself as a foreign policy sage and authoring a number of books on American foreign policy. As time has receded, some revisionist accounts of his policies have been written arguing that domestically he pursued a liberal social agenda and that his foreign policy was expertly conducted. As a result, his reputation seemed to be on the upswing. Recently, however, a number of books have appeared reevaluating this trend, and the “old Nixon” has reemerged. One of the books in this genre is Tim Weiner’s ONE MAN AGAINST THE WORLD: THE TRAGEDY OF RICHARD NIXON. Weiner’s book is not a comprehensive biography but a history of Nixon’s anguished presidency that “concentrates on the intertwined issues of war and national security.” The author’s approach to his narrative is best summarized as he writes from the outset in referring to his subject that “his gravest decisions undermined allies abroad. His grandest delusions armed his enemies at home.” “I gave them a sword,” he said after his downfall, “and they stuck it in.” According to Weiner his book is based mostly on recently declassified documents that were released between 2007 and 2014. Though that may be true there is very little that is new in what is presented as the author provides the reader the usual litany of crimes and near crimes that Nixon engaged in almost on a daily basis. Weiner is selective in his coverage of the Nixon administration as he is most concerned with the abuses of power and crimes related to the war in Vietnam, and the domestic espionage conducted against what Nixon perceived to be his political enemies that culminated in Watergate. From the outset Weiner presents a man who is obsessed with being elected to the presidency in 1968. Nixon firmly believed that the Kennedy machine had stolen the 1960 presidential election and he would not allow that to happen again. As the 1968 campaign began to come to a close President Lyndon Johnson, concerned with his own legacy, announced a bombing halt for Vietnam. From July, 1968 Nixon had communicated with President Nguyen Van Thieu of South Vietnam that whatever peace deal the Democrats were offering, South Vietnam would be better served if Nixon was in the White House. As the campaign was coming to a close Johnson was aware of the Nixon campaign’s clandestine approaches to Thieu and how he was undermining any possible political deal. Weiner presents irrefutable evidence that Nixon was involved in treasonous activity that has been available previously, and explores the reasons that Johnson did not go public with this information. Weiner will spend a major part of his narrative exploring Nixon’s conduct of the war, detailing the illegal bombing of Cambodia from March, 1969 through August, 1973; the illegal wiretaps designed to stop the leaking of information from the National Security Council, Pentagon, and State Department all in the name of national security; covert operations against United States Senators who opposed his conduct of the war which would result in the passage of the War Powers Act in 1973; the machinations that led to the overthrow of the democratically elected president of Chile, Salvatore Allende; the incursion into Cambodia in April, 1970 that resulted in events at Kent State University; the creation of the “plumbers” to plug leaks that would lead to the break in of Daniel Ellsberg’s psychiatrist’s office, and of course Watergate. The details of other abuses of power presented including the selling of ambassadorships, extorting funds from foreign governments in return for favorable American policy decisions, the employment of the IRS to deal with domestic enemies, and the use of the FBI and CIA to deal with political opposition. Weiner covers it all, but, again nothing really new is presented. 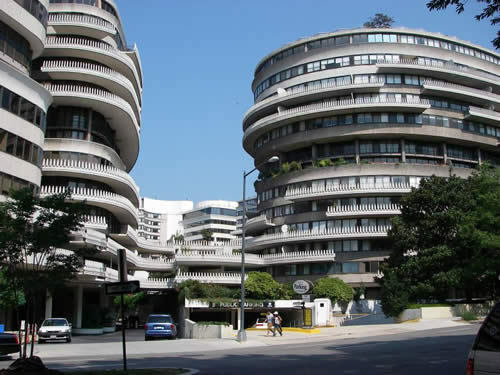 Even in the case of Watergate the reader is exposed to familiar territory as we are taken into the White House as the plans for domestic espionage are laid out. The familiar names of John Dean, H.R. Haldeman, John Ehrlichman, John Mitchell, Charles Colson, Alexander Butterfield, Jeb Magruder, and on and on all make their appearance. The reader is exposed to Henry Kissinger and his role in Vietnam policy formulation and domestic espionage. The former Secretary of State is as complicit in many of the crimes propagated in the conduct of the war in Southeast Asia and domestic spying, but aside from a few lawsuits has gotten away scot free and today is seen by many as the eminence grist of American foreign policy. On a personal level, in May, 1970 I witnessed one of Nixon’s plans to weaken the antiwar movement that was burgeoning in response to his actions in Vietnam and Cambodia. On May 8, 1972, a few days after the shootings at Kent State, according to Weiner, Charles Colson, one of the Nixon officials in charge of “dirty tricks,” communicated with the New York City construction union council led by Peter J. Brennan to arrange a march up Broadway of construction workers, then building the World Trade Center. 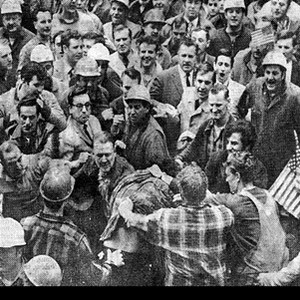 As hundreds of these workers marched they assaulted anyone that seemed to be opposed to the war. I was a student at Pace University on that day and was chased and attacked by two workers as New York City’s “finest” stood idly by. Little did I know the culpability of the Nixon administration in these attacks. 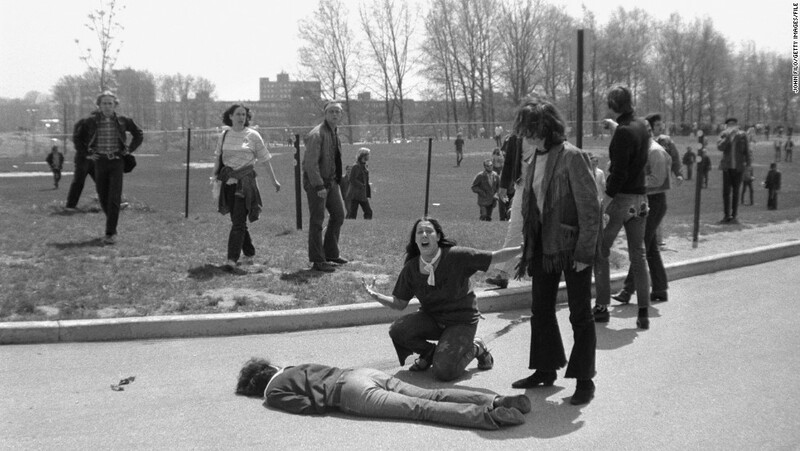 The irony was that the next day, as a member of the United States Army Reserves I was activated to control student unrest at St. John’s University in Queens, NY. Later, interestingly, Peter J. Brennan was appointed Secretary of Labor in the Nixon administration. To Weiner’s credit he has written a breezy and well written catalogue of Nixon’s crimes that summarizes a period of American history whose remnants of which we are still dealing with today. In evaluating Nixon we must recognize the psychological flaws that lent themselves to limiting a self-destructive personality, who because of his abuse of power overshadowed remarkable accomplishments in diplomacy in negotiating with China and the Soviet Union. But, as Bruce Mazlish predicted in 1972, his presidency would not end well. ← If you love Blueberries and live near Portsmouth, NH, this is the place for you!